Winnie & Walter – Bubble Talk Rerun! Its time for a new rerun from Winnie & Walter. This month the featured product is Bubble Talk! This is my card using Bubble Talk stamp set for you. What I did with this awesome stamp set is to stamp both the background and focal point. 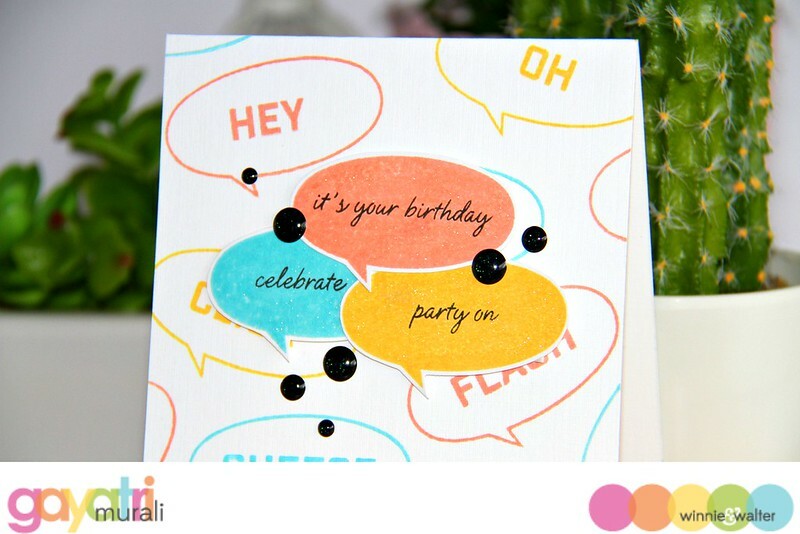 This card is fully stamped with Bubble Talk stamp set only. I picked my three ink colours first, stamped the card front using the outline oval speech bubble randomly. Then stamped the bold sentiments inside with the same colours as the speech bubble. This is the background for my card. 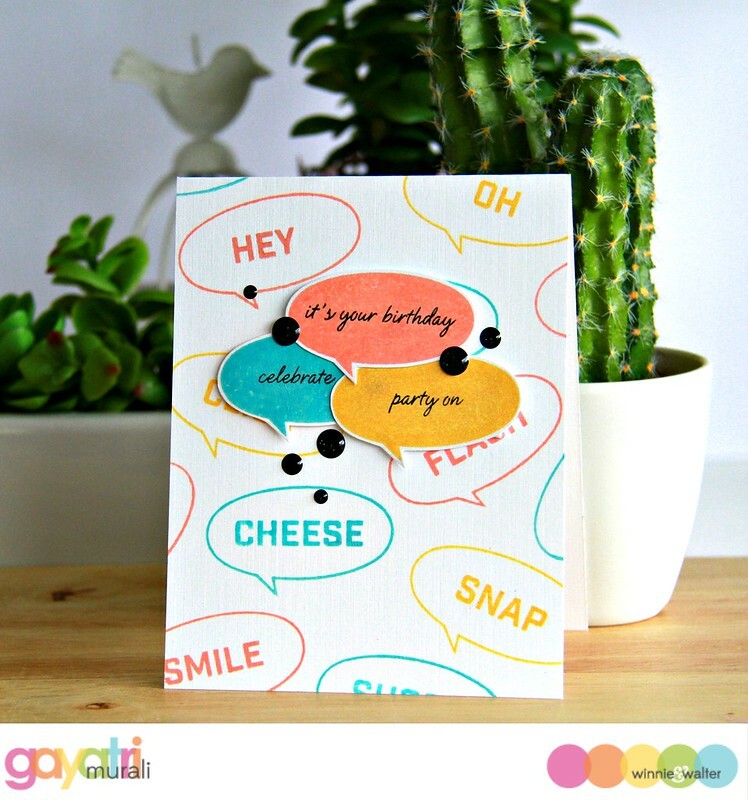 For the focal point, I stamped the solid oval speech bubbles in the three colours, cut them out with scissors then stamped the script sentiment on it using black ink. I layered these solid speech bubble with foam adhesives on the middle slightly towards the top on the card front. I added some black glitter enamel dots to tie in with the black sentiment. Check out Winnie & Walter Blog for more inspirations from Shay, Julie and design team. This stamp set Bubble Talk is on sale this entire month. And the linky to enter you card can be found at Winnie & Walter Blog. Can you say TERRIFIC! Love the way you made this stamp set sing. Fantastic card.